Do you feel your job doesn't pay you enough money? According to a recent survey by PayScale, as many as 22 million Americans feel they are underemployed and underpaid. Ever since the economic crisis in 2008, most people have been content to simply have a job; whether that job pays market value for their education and experience or not. But continuing to settle for a job where you are not getting paid enough does nobody any good. You have bills to pay. If you are not getting paid enough, it is likely you are falling behind on bills and this will stress you out. You might think that if you pinch enough pennies, you can make the money stretch; but ultimately, pinching pennies can only get you so far. When you’re not paid enough, you are more likely to be less productive at work. This does not serve you (for the future if you wish to remain in this line of work) nor does it help your employer. If you are not getting paid enough, you should ask for a raise. I know. This is a scary thought. However, it will never change if you never ask. Most companies in the U.S. give a 2 to 3% raise with each additional year you stay with the company. For most folks, however, this 2 to 3% raise usually does not make a difference in your paycheck when you factor in taxes and other deductions. The way to get around this is to ask for a bigger raise. Do your research. What are other people in your position at similar companies earning? Websites like Glassdoor and PayScale will give you a range of salaries for your profession and can even narrow it down to the salaries in your specific area. Now that you know how much others are earning (9 times out of 10, you will find that people are earning more elsewhere), prepare to talk to your boss. Why are you worth $10,000 more per year? How much will it cost and how long will it take for your company to hire a new person and train them to get to your level of proficiency? You are already adding a lot of value to your company. Come up with three to five reasons why you deserve that raise. This will not only help you convince your immediate boss, it will also give your immediate boss ammunition to defend your raise beyond the regular 2 to 3% to their superiors. During this stage, another question to ask and answer for yourself is: “What added value will I bring to my company when I get this pay raise?” Having all these questions answers (and even typed up) will show your boss that you are serious and not just asking for a raise out of the blue. Schedule a meeting with your boss. Now that you have done your research and evaluated how much you are worth to your company, it is time to talk to your boss. It is important to stick to your guns here and not get talked out of your presentation. Once you have negotiated a raise, ask for it in writing. This protects you for any future denials that you negotiated a particular amount. 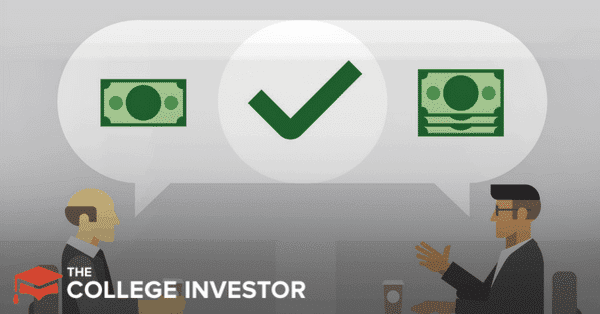 If a raise is never given, you can refer to the written document as proof. If you were unsuccessful at convincing your boss for a raise for whatever reason, the next thing you can do is to begin to look for new opportunities outside your company. I highly recommend you do this confidentially. Having your colleagues or boss find out you are scoping for a new job has gotten people fired. Therefore, conduct your job search quietly until you land a job before you announce to everyone that you’re leaving. As you enter a new job, it is important that you are clear on what your salary expectations are and to not get talked out of it. You’ve done your research and you know what you’re worth. You also know the value you bring to the company and by this point have demonstrated in your interview at the new job that you are worth every penny. So stick to your guns and get the salary you want from the very beginning. So perhaps you love your job because it gives you a lot of personal fulfillment even though it doesn’t pay you enough money. In this case, what can you do about the whole can’t-pay-my-bills situation? If you’ve read this blog long enough, you know by now that we are advocates for earning extra income — whether that takes the form of starting a side hustle or earning income passively through investments. The great thing about earning extra income on your own terms is that you don’t have to go in to negotiate a raise with your boss. Additionally, you can make as little or as much as you want. There are no 2 to 3% capped raises to contend with. 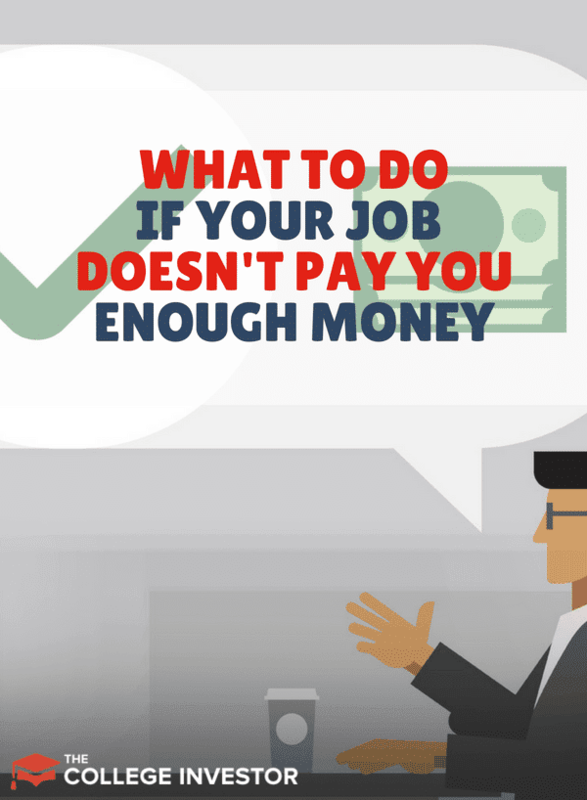 In this post, we talked about what to do if your job doesn’t pay you enough money. If you are positive that you bring a lot of value to your company and your research shows that you are underpaid, you have all the permission in the world to do something about it. It is good for your own career and mental health. Your thoughts are welcome in the comments below.